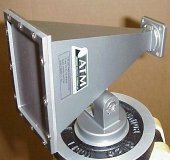 • Radome covers - By adding a /RD to the basic part number ATM can supply all models with Radome protection. 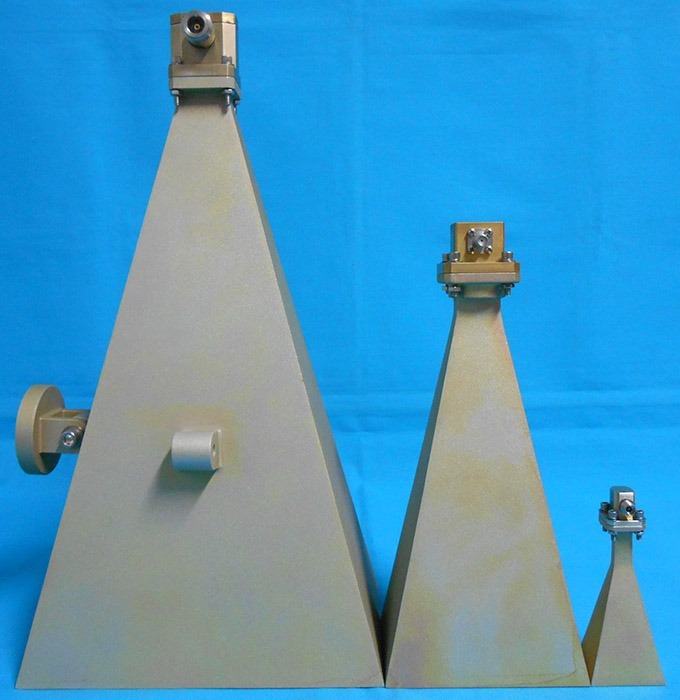 Depending on the aperture size of the horn antenna, ATM Radomes will either be a strong Teflon-fiberglass material mounted in a frame as shown in this photo or a very low dielectric material custom fitted and epoxied in place. 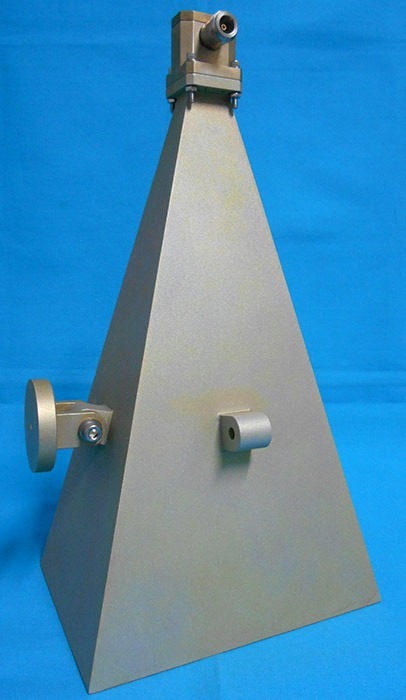 Based on the material selected for the radome all designs have minimal impact on the horn antenna performance. 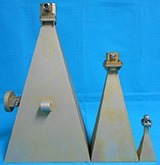 Radome Applications Tables. • Coax Input WG to Coax adapters are integrated for Coaxial Input. 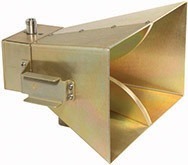 Gain: 10dB, 15dB, 20dB standard, others available, consult factory for details. 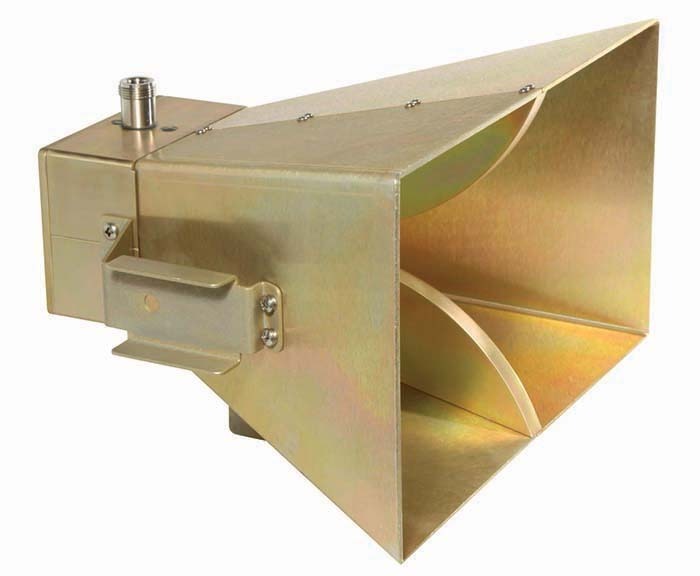 When Waveguide to Coax adapters are used the Max power rating of the Coax Connection becomes the limiting factor. 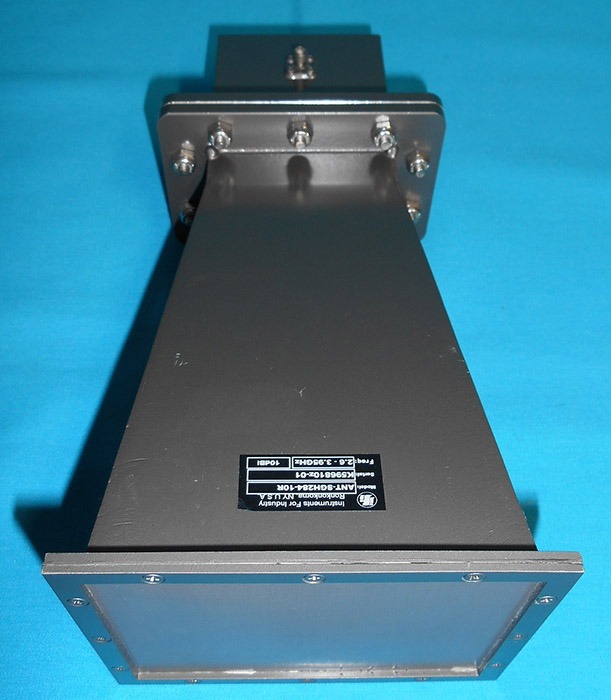 SMA Model: 100 watts. Contact factory for higher power. 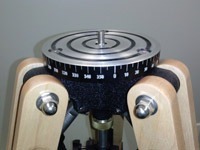 Type-N Model: 300-500 watts. Contact factory for higher power. 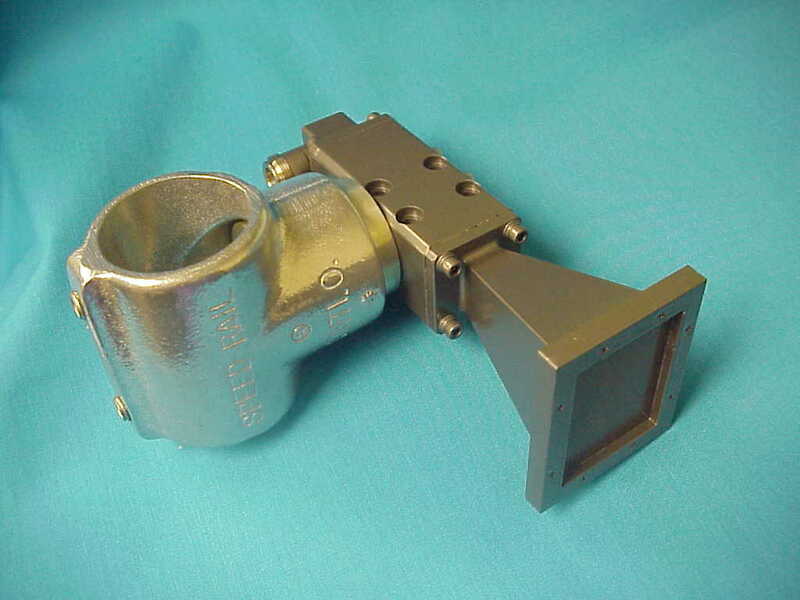 See Waveguide Adapters pages for power rating of suitable adapters. Consult factory for other connector types. 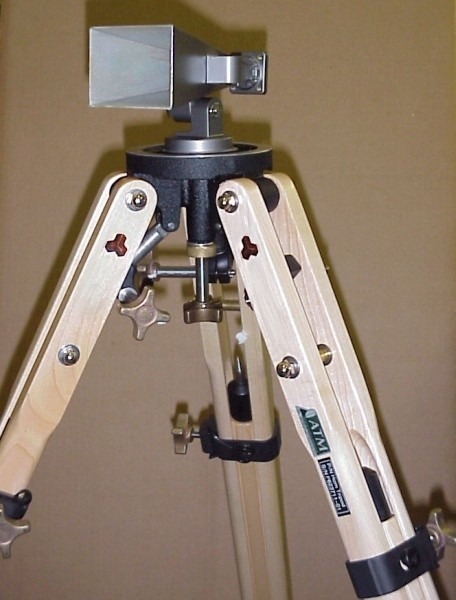 * These models are supplied with 2.9mm (K) female connectors. ** Overall length can vary depending on coax adapter type used.